In Campaign’s 50th issue John Hegarty stated: "There is no problem that can’t be solved with creativity." 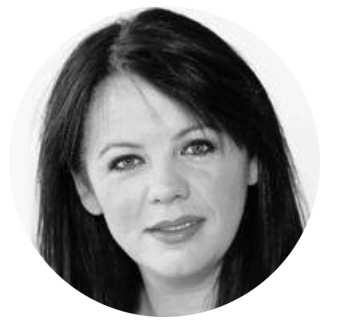 At MediaCom we agree and consider creativity the essence of effectiveness. There are many ways to be creative. Not all of them are mainstream. Creativity comes from open access and working with many different partners. Creativity comes when you go off the beaten track. Here are four ways to creativity from our clients. Paddy Power caused a stir. eBay cut through by building some huge, really huge, machines. 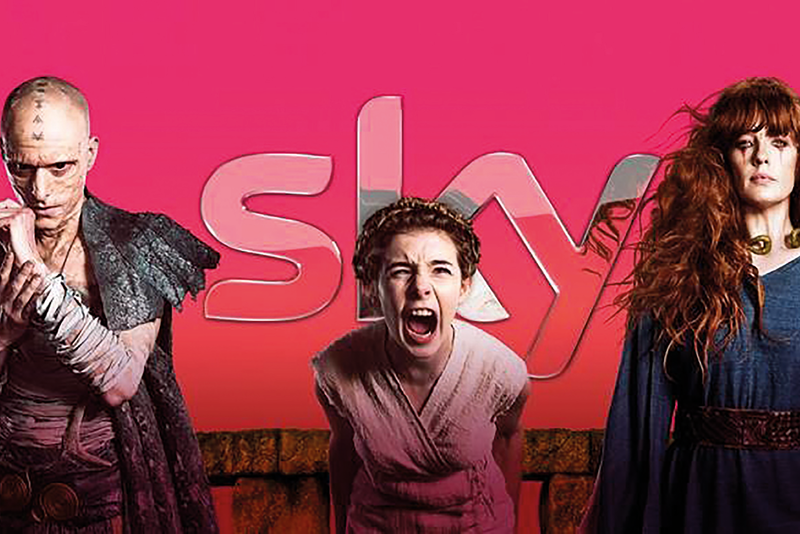 Sky broke media rules in a cinema first. And Fanta switched up its tactics and went experiential. Creativity is in our DNA; it’s our start, middle and end point. Call it irreverence, call it mischief, call it provocation, but the relentless creative ambition to drive cut-through and challenge the status quo is the backbone of our brand. As a brand we live at the forefront of popular culture and that’s both a challenge and a gift. The 2018 World Cup was an irresistible creative challenge on an international platform. Being a UK&I brand, we knew our battleground for winning audience favour would transcend our category on a global scale. But a challenge like that only heightens the creative juices here at Power Towers. So we set out to become the most talked about brand around the World Cup. First up was a shocking take on environmentalism by pretending to spray paint an England Cross of St George on a Polar bear. The British public were up in arms (they LOVE animals) and so do we. So when the stunt went live with an online ‘leaked’ video and a wrap in the Metro, it sparked outrage. A day later we owned up; we had established ourselves again as masters of provocation and made an important point about how endangered those magnificent animals are. 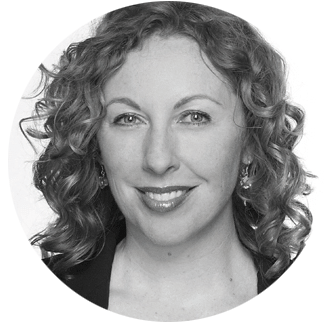 Media planning and precision were key, adding intrigue and outrage before the big reveal. Our second shot was designed to create provocation on an even bigger scale. We have a long history of championing LGBTQ+ inclusivity, and we wanted to use our voice to draw attention to Russian homophobia. 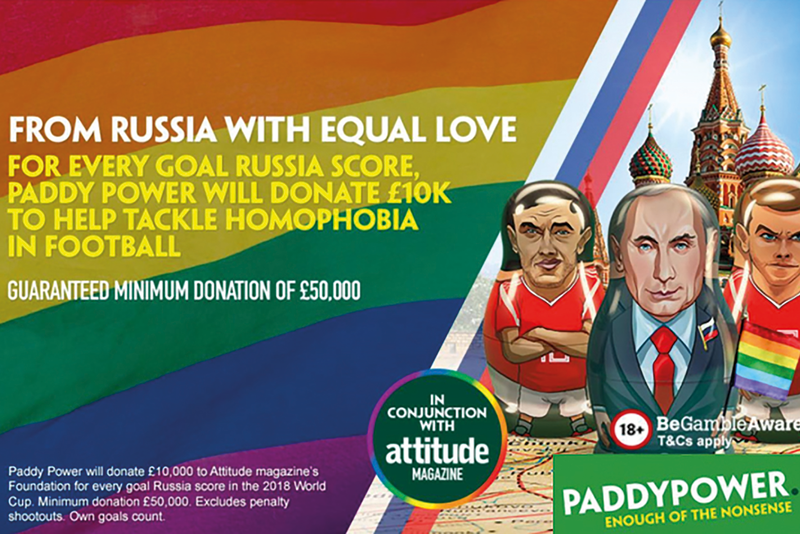 Each time Russia scored, Paddy Power donated £10K to Attitude magazine's Foundation, with the funds being used to support LGBTQ+ inclusivity in football. Taking on the Russian establishment in the aftermath of one of the most politically sensitive periods in British/Russian relations was… erm... classic PP. 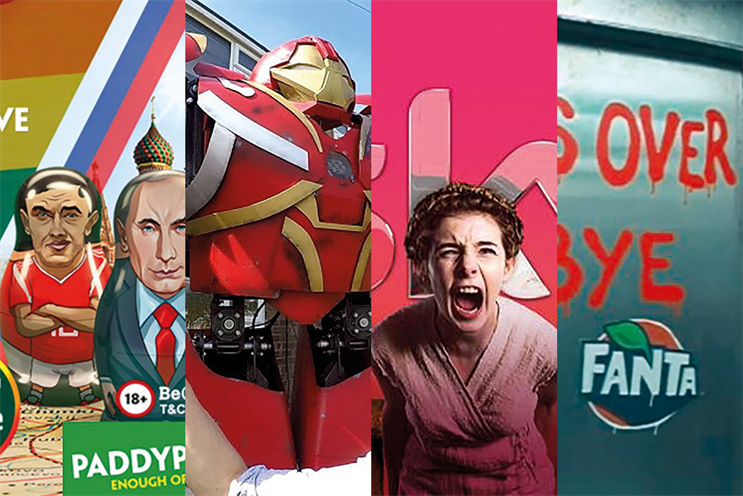 By 24 June, Paddy Power was the most talked about brand in World Cup conversations in the UK and the third most talked about in all conversations. Equally impressive, Paddy Power was the fifth most talked about brand in World Cup conversations globally, despite being available only in the UK&I. In such a competitive market it’s all about standing out and creating authentic points of distinction. Bringing out the personality behind the generic brown parcel. At eBay we celebrate the vibrancy of our marketplace, the passions and individuality of our shoppers and sellers. Our platform is a reflection of society and what’s happening in the world. This comes to life in those cultural moments like the release of a new movie that captures the nation. When the latest Star Wars movie was released, for example, sales of physical media, memorabilia and collectibles sky-rocketed on eBay. So part of our creative strategy is to tap into those movie moments in imaginative ways. 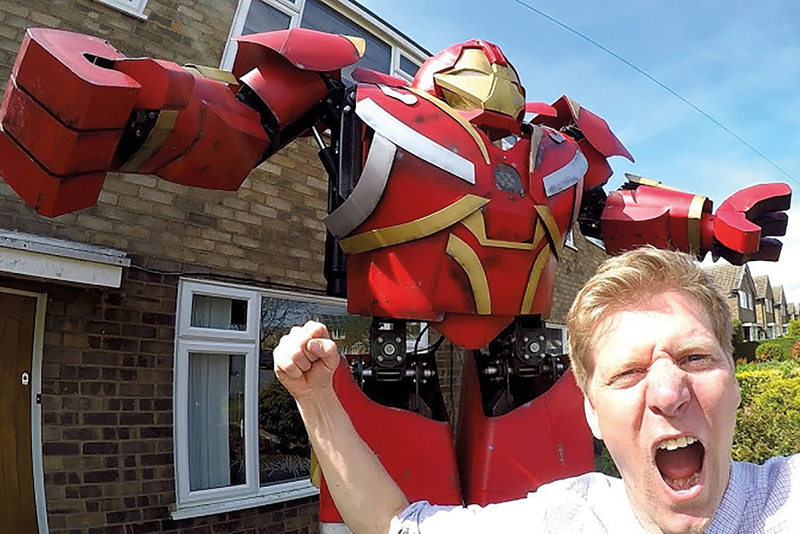 Through our partnerships with Disney we’ve done everything from create a 10-foot hydraulic Hulkbuster suit in line with the release of Avengers, to building a seven-tonne TIE Silencer from Star Wars with YouTuber Colin Furze. We captured these phenomenal builds on video and turned them into social content to engage eBay fans and showcase the potential and might of our marketplace. Everything that Colin Furze created was completely shoppable on eBay, and like the builds, the results for our business were epic. No one wants to be civilised. 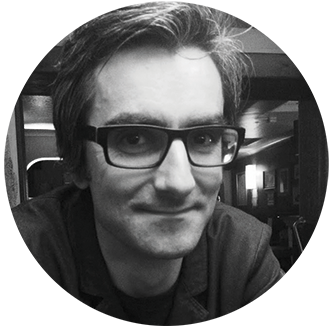 Britannia, a Sky Originals production, is homegrown content that is second to none in quality, featuring a stellar cast, epic storyline and world-leading writer. Written by the multi-award-winning Jez Butterworth (Spectre), Britannia is an epic journey into the dark, wild and unruly world of Britain in 43AD. The Imperial Roman Army – determined and terrified in equal measure – has returned to crush the Celtic heart of Britannia, a mysterious land ruled by wild warrior women and powerful Druids. The Celts are a fearsome tribe who will stop at nothing to protect their nation, beliefs and honour, and their most dangerous weapon is the Druids, a mystical tribe whose immortality, through links to a powerful, dark underworld, makes them a force unlike any the Romans have faced before. When MediaCom suggested that we should advertise in cinema it seemed like a natural opportunity to give the show the spotlight it deserved. It didn’t stop there, however. Rather than just take a slot in the ad reel we appeared in the movie trailer content. For the first time ever in the UK, TV content ran within the movie’s trailer reel. And not just any movie. We ran in the trailer reel of the biggest movie event of last year, Star Wars: the Last Jedi. We definitely stood out from the crowded box set pack to create excitement and anticipation. I think that the context the cinema trailer reel provided for our prestige show was absolutely right. 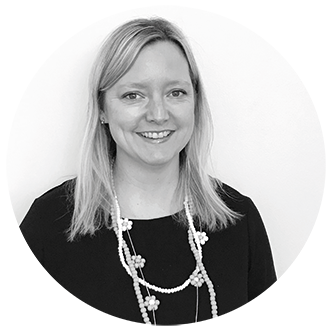 The flexibility provided by the cinema sales team meant that we could break the long-established rules of the medium to deliver excellent cut-through for our outstanding content. When speaking to our young adult audience, it’s crucial to remain fresh. Centennials are sceptical about advertising, a standard TV spot won’t do it for them; we needed to change our approach and think creatively, so we turned to branded experiences. 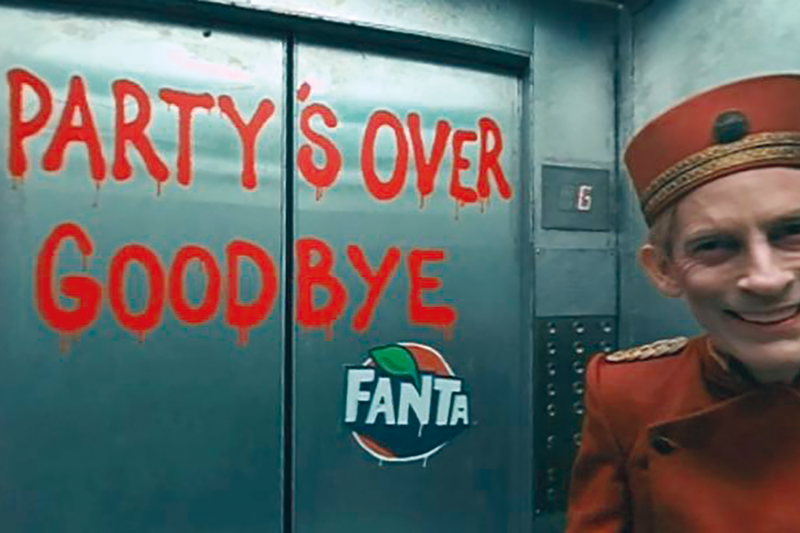 Last year we became the facilitator of Halloween fun with our VR experience Fanta: The 13th Floor. The experience was brought to life over two weeks as a physical installation at two key hangouts for our audience: Thorpe Park, the UK theme park famed for its annual Fright Night Halloween event, and London’s Westfield Stratford. The VR experience was housed within three huge lifts. On entering the lift, young adults were met with a creepy Bell Boy who led them to a Halloween party on the 13th floor. The lift then malfunctioned, plummeting those inside further into the depths of the building, with something inescapably scary awaiting on every floor. It was really important to us to make this experience accessible to all, not just the lucky few. So we used extra footage including GIFs, stills and reaction videos across a large-scale social plan to drive traffic to view the 360° video for themselves. The campaign was a resounding success, with people queuing for more than two hours to experience our Halloween terrors. The experience was seen more than 21 million times online and sales increased by 14.5% year on year as a result of the full marketing campaign for Halloween. This year we’ve gone bigger, heading to four locations across the UK with our Twisted Carnival, a unique immersive experience for young adults. We can’t wait to see how it performs.